No need to bake. Clean ingredients. Too delicious. 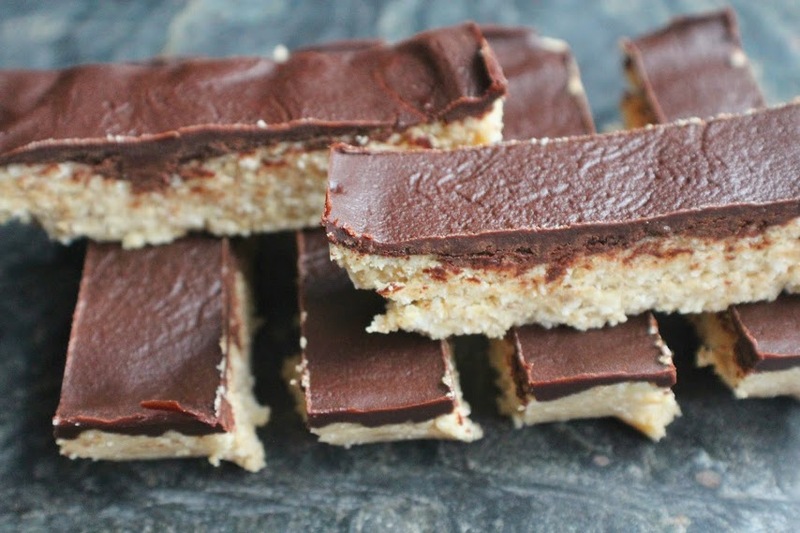 Taste like they should be naughty, but they’re not (just don’t eat the whole batch at once!). High protein. Low carb. No refined sugar. 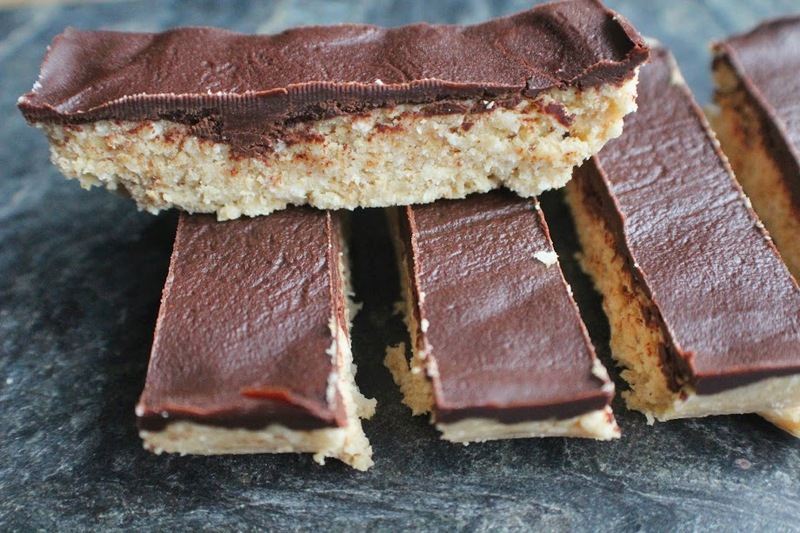 Say hello to these wonderful protein bars – a bit like a Bounty, so for the chocoholics out there, this recipe is good news. I made these for a PhD Nutrition + PhD Woman product launch event at Ice Tank Studios in London, where journalists from national press and magazines dropped by to find out more about the brands and products and sample my healthy goodies. 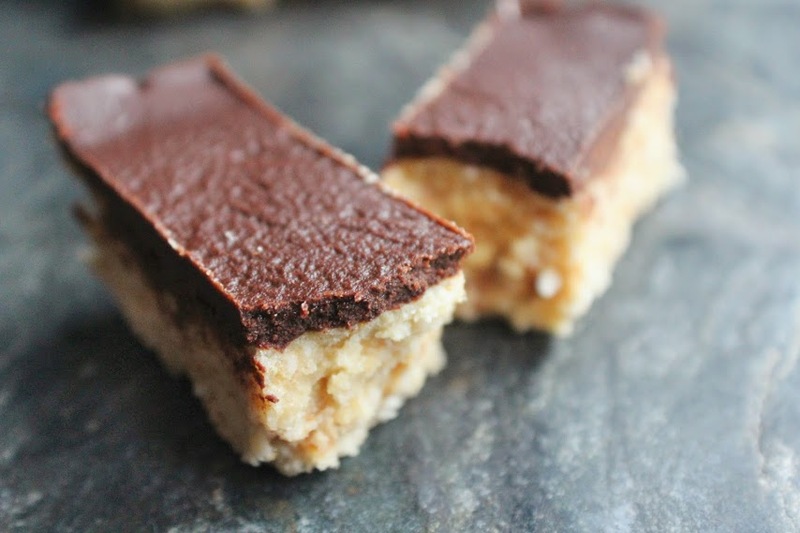 I’m pleased to say these were a massive hit – I hope you enjoy them too! Mix together the protein powder, desiccated coconut and coconut flour in a bowl. Add the tahini, nut butter, melted coconut oil, vanilla extract and almond milk and stir well, until you have a thick dough. Press into a silicone loaf tin or rectangular tray and smooth out evenly on the top. Place in the fridge while you make the topping. Melt the coconut oil and syrup in a pan on a low heat. Remove from the heat then whisk in the cacao powder, until you have a smooth, silky chocolate sauce. Pour this over the coconut base and spread all over the top with a spoon. Return to the fridge and chill for at least 4 hours. 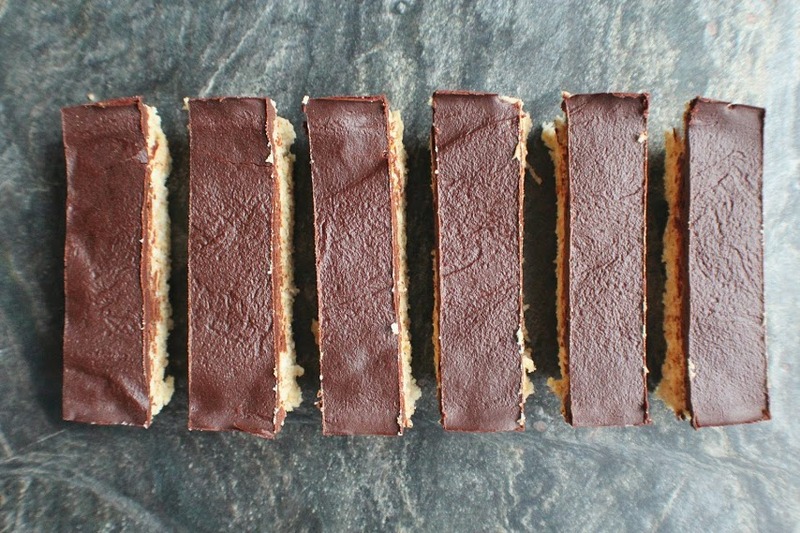 When ready to serve, remove from fridge, pop out of the tin and cut into bars. Keep in the fridge for up to 5 days.